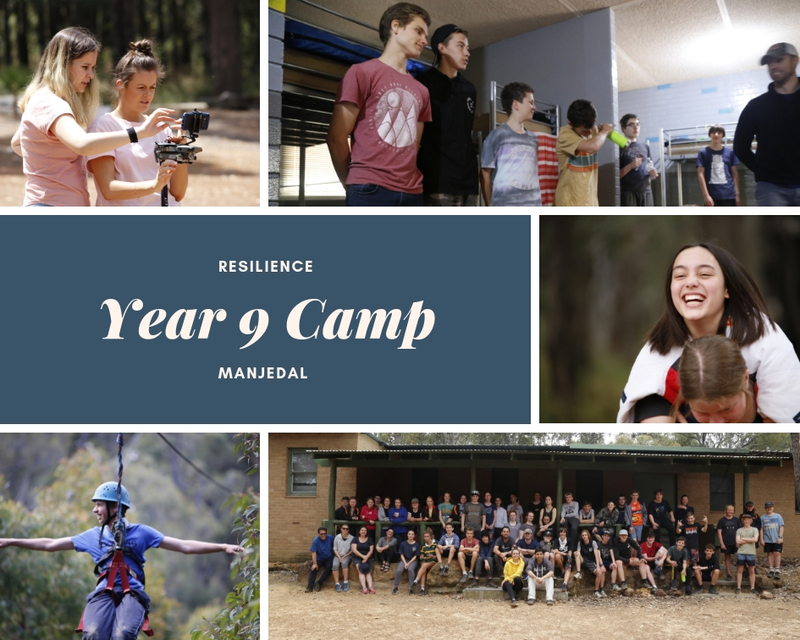 A fundamental part of Year 9 camp this year was about showing grit, expressed by not only cooking our own food but surviving an array of activities. It started with a long bus journey to Manjadel Activities Centre on the 30th of October, consisting of our pre-made song selection, with ‘Never Gonna Give You Up’ bringing everyone together. Camp activities included the perilous Flying Fox, worryingly claustrophobic tunnels, a daunting rock wall, and an incredibly non-biased game of laser tag where blue won every time. While we waited for Mr. Lambert to bring our food down, we got accustomed to the dorms we would be sleeping in for the next three days, and the boys quickly learned how to make DIY bobsleds out of the mattresses. On the first day we made lunch, which for some consisted of gourmet burgers, while for me, was the exquisitely tasty, worm-like nutrition of noodle cups. After lunch we were divided into groups, and my group headed off to the Flying Fox, which turned out to be the best activity on camp. The feeling of freedom while flying 40 metres above the ground, was stunning. After that, we made our way to the tunnels, which were not for the faint hearted or claustrophobic. Many students chickened out at one of the frequent safety hatches, but me and a few other brave souls, conquered even the most advanced tunnels. After the activities we made dinner, (which was again the fine delicacy of noodle cups for me and my team) and so finally, it was bed time. Needless to say, there were a few bumps in the nights. One of the more triumphant ones was the rise of the Shirtless Gang…essentially a bunch of blokes running around the dorms with their shirts off. The girls promptly screamed at us to shut up. It didn’t work. We suddenly woke up the next day when someone who shall go unnamed (Mitchell) decided to cause a ruckus at what the teachers recorded as 5:45 AM. We ate breakfast, and went to our activities for the day, which for my group was laser tag and the rock wall. Laser tag was fun but incredibly biased. The person running it had the ability to kill and revive any player on the field with the press of a button. So naturally he abused that power. The best activity for the day was by far the rock wall. I was pretty bad at it but considering some of the artificial rocks had wasp nests in them or spun around when you tried to grab them, at least I survived. Later we made dinner and watched a movie called “Remember the Titans”. On the last day the teachers had a couple of small things to do including volleyball, blind trail and a maze. We ended with some orienteering, where we had to find 8 checkpoints that gave coordinates to each other, and the last one lead home. All was going well until we got to the last checkpoint and, as we struggled our way through the barren wasteland of the fatally humid Australian bush, our food supply was getting low and we were lost. When we finally made it back to camp after talking about whether number 8 existed, we found out that Mr. Hewson had actually found it and we had ended up lost for no reason. Finally, the bus ride back started strong with Bohemian Rhapsody and we arrived home with everyone glad to be back, and extremely exhausted.